Get a clearer, nourished skin with Qraa All In One Wash! Enriched with active herbal extracts it provides your skin ultimate cleansing effects while also giving a refreshing wash. It unclogs the pores removing blackheads and dead cells. It helps reduce spots, removes, deep cleanses your skin and reduces tan. This is all you need for your total Face Cleanup Regime in just 2 minutes making you feel fresh and energized. Explore the entire range of Combos @ Nykaa available on Nykaa. 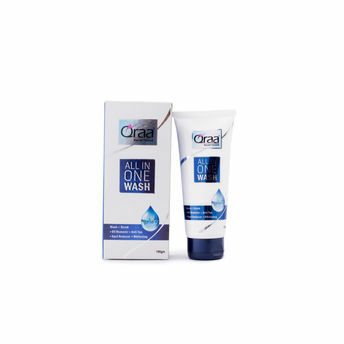 Shop more Qraa products here.You can browse through the complete world of Qraa Combos @ Nykaa .